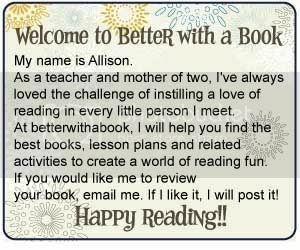 Better With A Book: Getting your New Readers Hooked! Getting your New Readers Hooked! As a second grade teacher, my biggest challenge as an educator was to instill a love of reading. Most of my students knew how to read and just needed a little confidence and motivation. I made it my job to find a series that was interesting and appropriate for each and every one of my students. Ivy & Bean's Secret Treasure Box (Books 1-3) , by Annie Barrows worked wonders!! This series is about two little girls who think they couldn't be more different. They both don't have lots of friends and are encouraged to spend time together. As luck would have it, these two little neighbors spend more and more time together and uncover a loving, kind and silly relationship. These two girls involve themselves in various adventures and have lots of fun in doing so. Unlike other young reader series, these girls speak kindly to one another and don't use negative words like hate and stupid...two words I like to steer clear from. Ivy and Bean are just good, clean fun! There are currently seven books in this series geared for 6 to 8 year olds. Number eight will be available in November. If your little reader likes one, they'll like them all and hopefully you won't be able to yank that book out of their hands!! Happy readers-that's what I'm talking about! Check all eight of the Ivy + Bean books out.